Rid your home of dirt, grime, mold, mildew, algae, and other unwanted gunk! 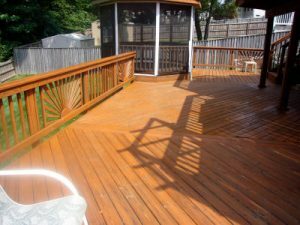 Our Pressure Washing Services will help your home look new again! We power wash it all! If you’re not sure about our pressure washing services just call us! We will test the area and make sure it’s suitable for pressure washing. We can bring your old surfaces to look new again! We use biodegradable products to protect the environment from harsh chemicals.